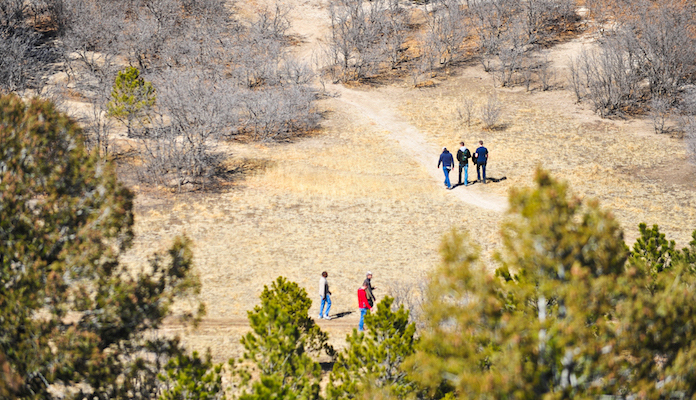 Another popular spot for park running in Colorado Springs, Ute Valley Park is a scenic destination with diverse flora, fauna, geology, and archaeology. While there are myriad trails to choose from in the park, your best bet is to park off Vindicator Drive and ascend the central trail to the top of the ridge line. This will give you the best views, and the best workout. Descend via the trail on your second right, then at the next intersection, head north all the way back to the parking lot. The park is 7 miles north of downtown. The linked map has additional information on trails.